Conquering Everest: The Lives Of Edmund Hillary And Tenzing Norgay: A Graphic Novel (Campfire Graphic Novels) by Lewis Helfand is a graphic novel about the climb to the top of the world by Tenzing Norgay and Edmund Hillary. The book has been illustrated by Amit Tayal.In this book, the author allows the characters, Norgay and Hillary to narrate the sequence of events by themselves. The biography of the two mountain climbers has been told in the form of a dialogue between the two men. For the first half of the book, the two men tell each other about their lives and the circumstances which have led them to where they are. This exchange of life histories takes place up until before they reach the Everest base camp in 1953. Tenzing tells his story of being a member of a poor Tibetan immigrant family in Nepal and his childhood dream of travelling the world. Edmund Hillary, a beekeeper in New Zealand, had similar dreams of a life of adventure. Both men meet on this historic adventure to scale to world s highest peak, which stretches beyond the clouds in the sky.The task is difficult and many have died trying to accomplish it. Despite the dangers, the two men are determined and so, even as they run low on oxygen and face the wrath of the weather, they manage to accomplish their dreams. With no other support but that of the other man, the two climbers achieve a historic feat which has never been performed before. The book describes the entire journey in the voice of the two characters. Differently coloured dialogue boxes serve to relate the story for the first half of the book and, in the second, the narrator takes over. The narrator describes the hardships and dangers involved in climbing Mt. 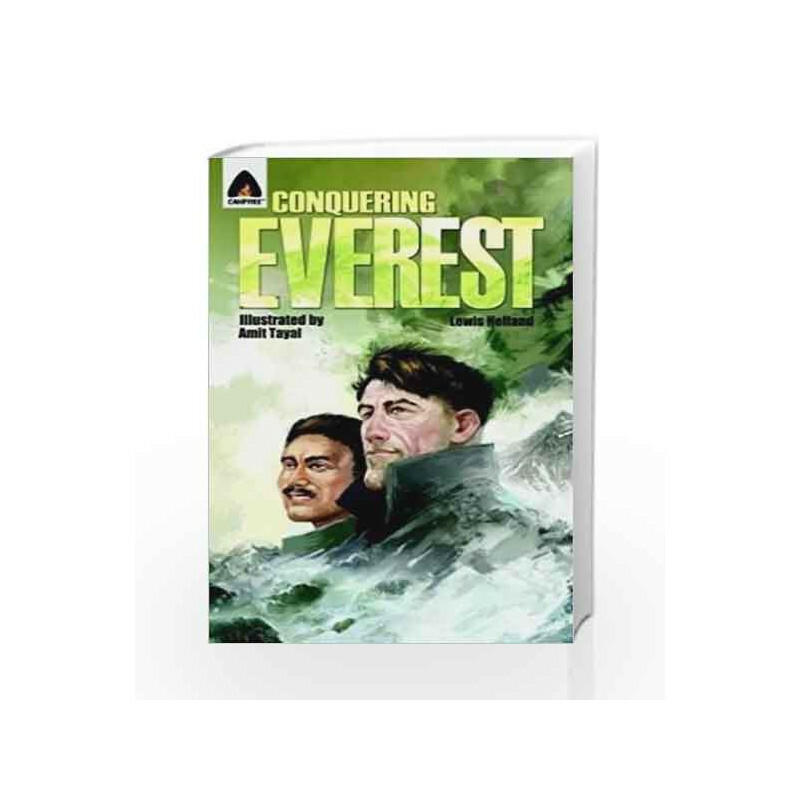 Everest and all the minute details that the reader needs in order to understand the journey to the top of the world.Conquering Everest: The Lives Of Edmund Hillary And Tenzing Norgay: A Graphic Novel (Campfire Graphic Novels) is available in paperback. The book was published by Campfire in 2011. 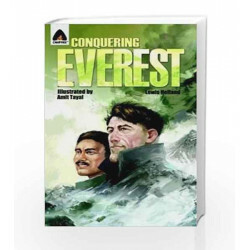 Conquering Everest: The Lives Of Edmund Hillary And Tenzing Norgay: A Graphic Novel (Campfire Graphic Novels) Book is not for reading online or for free download in PDF or eBook format. Table of Contents,Index,Syllabus,summary and image of Conquering Everest: The Lives Of Edmund Hillary And Tenzing Norgay: A Graphic Novel (Campfire Graphic Novels) book may be of a different edition or of the same title.